Debbie loves her Ukulele. She has named it “Prozac”. Deb began taking piano lessons when she was 6 years old. She eventually achieved her Grade 8 piano, and Grade 2 theory from the Royal Conservatory of Music, which she used as a credit towards her grade 13 year of high school. 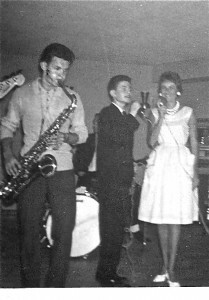 When Rock and Roll hit the airwaves, Debbie was smitten, and her ear was developed to the point where she could emulate Jerry Lee Lewis, Neil Sedaka and LittleRichard on the piano. It was around this time that she also realized that she had a singing voice, and she began singing with a friend, Patty McDonald, writing songs and playing piano to accompany the duo. As a teen, through her association with Ronnie Hawkins and the great Robbie Robertson, she became smitten with guitar, and taught herself to play chords, and strum along while she sang. During one of the matinees at the Concord Tavern, Robbie allowed Debbie to play a few chords on his famous Stratocaster, and he explained to her that he used a banjo string for his high E string ­ because it stretched a lot easier. A high moment in her life! 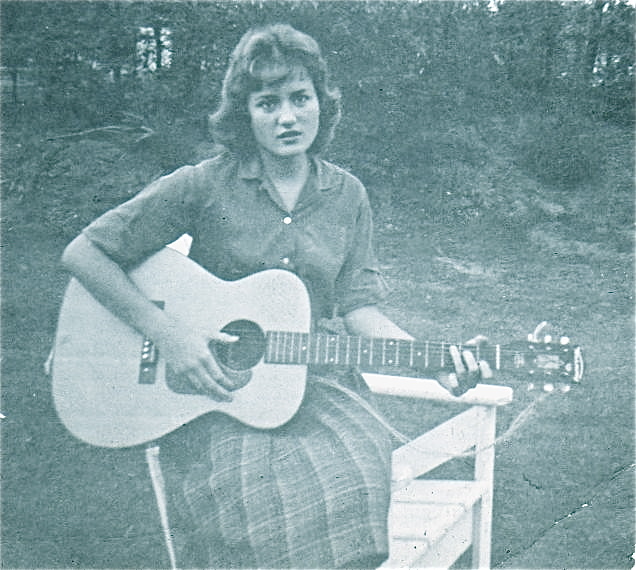 Debbie posing with guitar at the age of 16. Until she met and married her husband, Toronto keyboard legend, Gordon Fleming, Debbie’s musical life was limited to a little playing and singing with small bands for peanuts. Debbie, singing with Al Stone and The Rockatones in 1962. She had always wanted to be in music, but her parents insisted that she work towards a degree in University that would lead to a career she could “fall back” on, and music definitely wasn’t one of those careers! She attended McMaster University, during which she worked with a dance band singing standards. She receive an Honours BA in Psychology, and ended up “falling back” on her degree for one year after graduation. Debbie Sings with McMaster jazz ensemble in 1962, pictured with Moe Spence on Guitar, John Reynolds on bass, and Bill Lang, Drums. Then she met Gord. Once she and Gord married, Debbie began earnestly making up for lost time, learning as much as she could about music from her talented husband. Both Gord and Debbie began studying piano with a Toronto teacher, Patricia Stewart, and they were both playing Brahms Rhapsodys and Chopin Etudes, and steeping themselves in the classical repertoire. After graduating from U of T, as a mature student at the Faculty of Music, Gord began working as an arranger in the studios, and Debbie, now a mother, would copy his music for him,­ calling upon her Grade 2 theory she’d learned many years before. When Debbie began working in studios as a singer, she was asked to arrange vocals for various sessions, and as the years rolled on, she became more adept at notating what she heard in her head. When she became a member of the Toronto Mendelssohn Choir, she worked very hard to become an excellent vocal sight reader. This is when her command of music and arranging grew from “instinctive” to “semi-knowlegeable”. Through her many years in the choir, she absorbed the sounds that worked the best with voices, and became an excellent vocal arranger. When she assembled jazz vocal group, Sing-Co-op-8 in the early 80’s, they sight-read brilliant arrangements by Gene Puerling, Kirby Shaw and Phil Mattins. It wasn’t long before Debbie was inspired to write some of her own material and arrangements for this group, using many of the crunches and harmonies used by the masters. Meanwhile, Debbie began singing with dance bands for weddings and bar mitzvahs, and although she purchased some of her charts from Richard Maslove, she began to get the urge to “lift” her own charts as an exercise. Although at first it was time consuming, and hard work, Debbie always enjoyed the challenge of isolating each instrument on a recording, writing down exactly what it was playing, and figuring out the chord progressions as well. It wasn’t long before Debbie’s entire book was made up of her own charts. With a singer’s ear for line and harmony, she also became a very good horn-writer. Following local bands like the Brigham Phillips big band and Men From Uncle, she became very cognizant about what works and what doesn’t. Take 6 emerged on the music scene in the early 90s, and by the time Debbie was inspired by them, her ear was finely developed. The ultimate challengewas to “lift’ a Take 6 arrangement, and try to decipher what those inner voices were doing — and which one was doing what! Her first “lift” of “A Quiet Place” nailed the arrangement, and is always a favourite for her groups to sing. Once Jazz Vocal Acappella group Hampton Avenue was assembled by Debbie, she was writing and arranging prolifically for this group. She was also learning from young phenoms Dylan Bell and Suba Sankaran, both of whom are musical geniuses, who studied music at York, and who arranged and lifted many other Take 6 arrangements. Sheer heaven! It was such a treat to have people such as Suba, Dylan, Judy Tate, Emilie Claire Barlow, Stephanie Taylor, TomLillington, Tim Olfert, Larry Folk and Don Laws just sight-read her charts on the fly – no piano, no hearing it first ­- just a tonic hummed by Suba, a count-in, and off they’d go. Yummy! When Hampton Avenue disassembled, Debbie put together a female vocal trio ChoirGirlz made up of Debbie’s voice, along with two of her Mendelssohn Choir associates, Dorothy McDonall Chiotti, and Mary Ellen Moore. 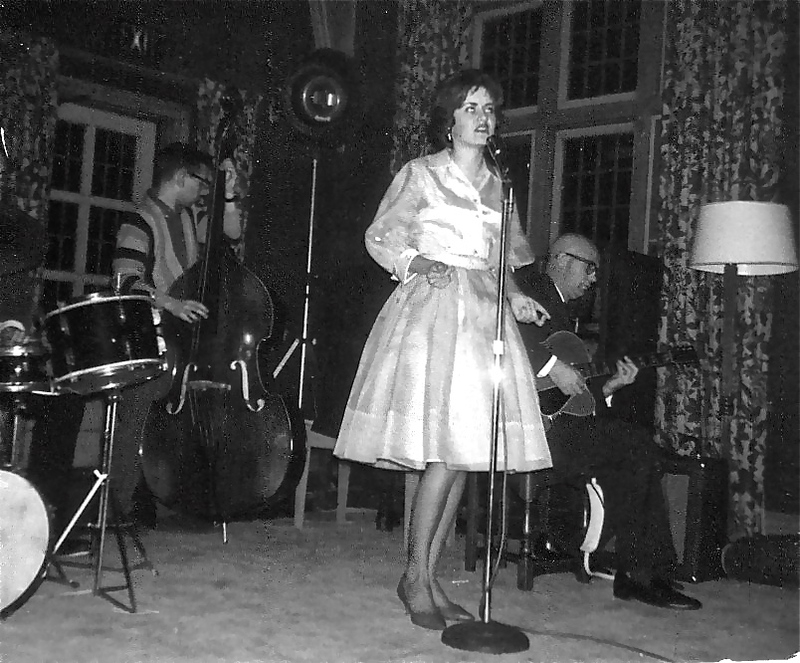 This was her opportunity to learn guitar, as accompanist for the group, and she began taking lessons from the great Steve Briggs of the BeBop Cowboys. Steve began teaching her even more about theory, harmony, and many other things she’s maybe known, but never been able to label. She was the arranger, and the sole accompanist for this bluegrass/country/roots female trio, which recorded three CD’s of mostly original songs before they finally dissolved in 2011. She continues to sing with and arrange for The Hampton Avenue-4 with Suba,Dylan and Tom; and continues to sing in the Toronto Mendelssohn Choir. She is regularly hired to do vocal arrangements for Joe Sealy. and for The Ault Sisters – as well as for Paul Mills and Borealis Records. 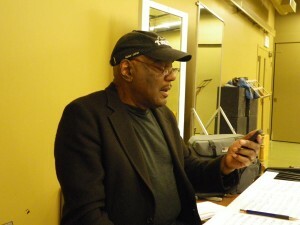 Joe Sealy, co-writer of Chappie Johnson project, for which Debbie provided vocal arrangements for the performers in 2012. 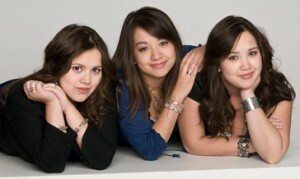 The Ault Sisters include many of Debbie’s vocal arrangements in their performance repertoire. 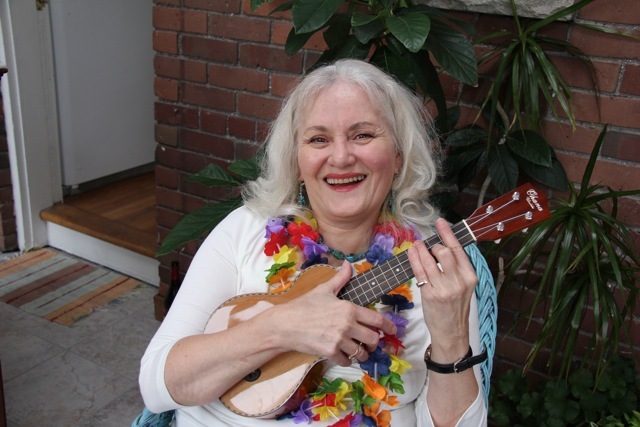 Debbie has been playing ukulele for many years and is a regular member of CUJAM . Debbie believes you’re never too old to learn new things, and she will always be on the relentless pursuit of becoming more excellent at her craft.